The Wayne Insurance Group companies have been providing solid insurance coverage and peace of mind to Ohio policyholders for more than a century. From our beginnings as assessment companies providing coverage for farmowners, we have expanded our offerings to include homes, mobile homes, autos and other personal property. 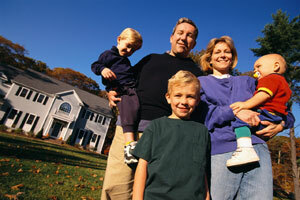 We can tailor our insurance programs to provide ideal coverage for your home, related structures and possessions. We offer competitively priced programs that can include coverage for boats, collectibles, incidental farming, home-based businesses and other unique situations. We also offer policies specifically for renters and condominium owners. Programs are available for single-wide, double-wide or sectional mobile homes. These programs are designed to meet the needs of mobile homeowners based on the age, condition and characteristics of the mobile home. 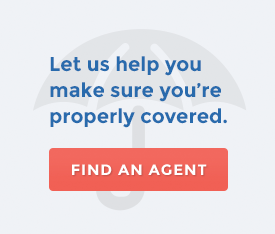 Even if you don’t own a home, insurance coverage is important to safeguard your possessions and to protect you against injury you might cause to someone else. A reasonably-priced tenant policy can protect you and your personal property. We take pride in providing outstanding coverage for excellent drivers. Our competitively priced auto programs are designed to meet the coverage needs of today’s drivers, including coverage for ATVs, trailers and other miscellaneous vehicles. A variety of discounts are available for good students, for safety and anti-theft devices, and for multiple vehicles and/or multiple policies. Whether your dwelling is owner-occupied or a rental property, we offer a range of property and liability coverages tailored to protect your investment in the event of a loss. Owner-occupied dwellings with up to four units fit perfectly in this program. Non-owner-occupied dwellings (one to four units) and mobile home rentals (one or two units) can also be insured under this program. We understand that well-maintained properties can sometimes become vacant for a short period of time, perhaps due to renovations, loss of tenants, relocation or a death in the family. This program offers solid protection for vacant dwellings at an attractive rate. Wayne Insurance Group’s personal insurance policyholders can also receive unlimited, one-on-one Identity Fraud Resolution Services through our partner Identity Theft 911®. In addition, as a Wayne Insurance Group policyholder you will have unlimited access to our identity theft educational website, which we encourage you to visit regularly: www.wayneinsurance-idtheft.com.